I like a game with a good story, and this one is based on a successful novel of the same name by the innovative young Russian writer Dmitry Glukhovsky, so it already hits that mark sufficiently successfully. The story weaves a winding tale as main character Artyom wends his way through the churning guts of Russia’s capital city Moscow after the nuclear bombs have fallen and the surviving people are forced to live underground. What they aren’t expecting is for mutants from the not-quite-completely-dead world above to try to invade their already delicate realm. The visuals in this epic work by THQ and 4A Games are fantastic, capturing the feel of a frozen, post-nuclear apocalyptic Moscow perfectly. Top marks to the designers involved. There are certain points when you’re hunkered down in the darkness, trying not to be spotted by enemy soldiers, that you almost stop breathing as you think they might actually hear you. That sounds a little dumb, but the full-on experience of Metro 2033 really gives you that thrilling sense of being there. The monsters are unlike those in other games too, as most of them have mutated from creatures that were already in existence on Earth before the bombs dropped, such as moles, insects and dogs. This gives the game a unique angle that it maximises brilliantly. It is the small touches like this that set this game apart from many other derivative sci-fi adventures. The tension in the air is palpable as well. You also get to battle or evade human opponents, be they bandits, rival factions of Red Line and Fourth Reich, or the frightening demons and Dark Ones from above. 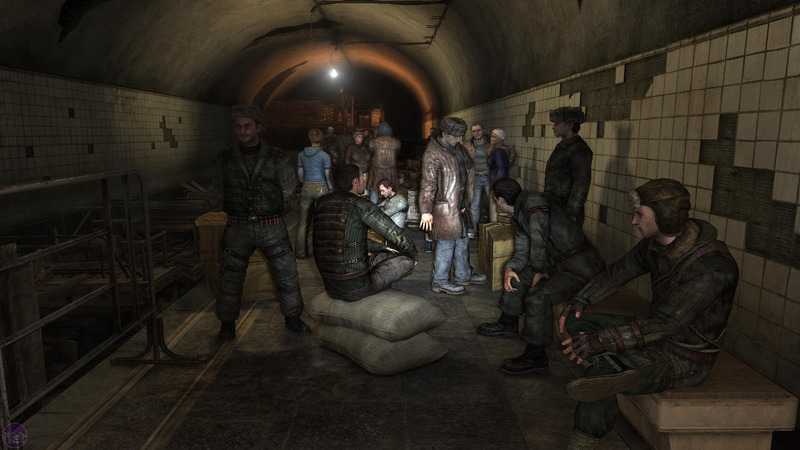 The bleak underworld and post-apocalyptic overground regions of Moscow are intricately rendered, making this a fascinating game to explore, but it’s the driving storyline as you go from station to station on your developing mission that really gives the game its engaging pace. 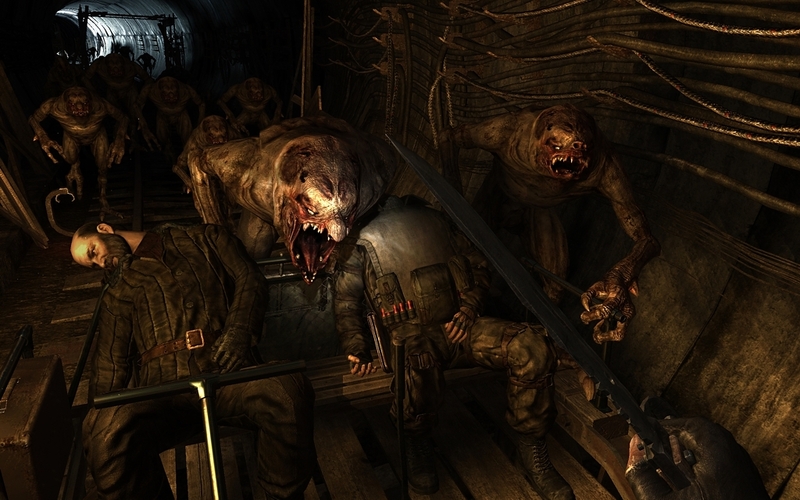 Metro 2033 is a great game that you will happily submerge yourself in for hours at a time. There are some games that leave an indelible impression on you for life, and Assassins Creed II is one of those games. From the start, we become embroiled in a dark plot that is taking place in a near future time, meeting a character who is mentally transported back in history to the time of the Renaissance Italy, envisaging the life of his predecessor, Ezio Auditori. It is a neat concept, and it only gets better. To begin with, you learn the basics of the complicated and amazing fighting system. The variety of moves and weapons are outstanding, and give you a flowing method of attacking enemies that really is a work of art in itself. Then there is the ability for you to climb around the buildings of the open world of the cities that you exist in, and it really is an open world when you are able to scale the sides of huge churches and cathedrals, leap from rooftop to rooftop, glide across ropes, walls and wires that criss-cross the streets and leap through the air into uncertain emptiness, only to grab onto a projected street sign at the last moment. Phew! The glistening world of Renaissance Italy is recreated with a stunning degree of accuracy. Even down to the filigreed costumes, it looks immaculate, like a Renaissance painting in itself, but one that lives and breathes! A lot of the time you can just amuse yourself by climbing to the top of a steeple when the moon is high and admiring the astounding view. The storyline then adds another level of brilliance to the proceedings. You are implicated in a conspiracy involving a mysterious century-spanning religious sect no less, and have to expose the perpetrators and face them personally, in a slew of heated, passionate battles and combat. There are sub-games that keep things interesting too, such as flying through the air on Leonardo da Vinci’s makeshift glider, and hurtling through the countryside on a horse and cart being pursued by your mortal enemies. This all adds more texture and excitement to an already dense and enjoyable game. Ultimately, you play through a massive amount of satisfying and inspired levels to a breath-taking ending.